Today we are used to clear divisions between science and the arts. But early modern thinkers had no such distinctions, with ‘knowledge’ being a truly interdisciplinary pursuit. Each chapter of this collection presents a case study from a different area of knowledge. 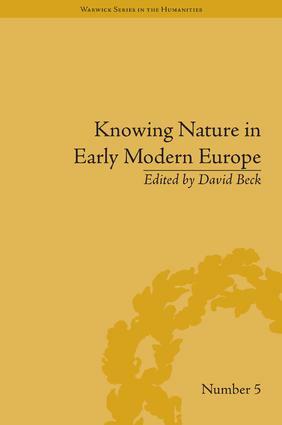 David Beck is an Academic Technologist and Lecturer in History at the University of Warwick, UK.